Located in picturesque Old Montreal, Auberge CASA DE MATÉO is five minutes from all the attractions of the Old Port. Just blocks from the Place d'Armes metro station, our prime location allows guests access to all that Montreal has to offer either through public transportation or a 15 minutes walk to the downtown core. 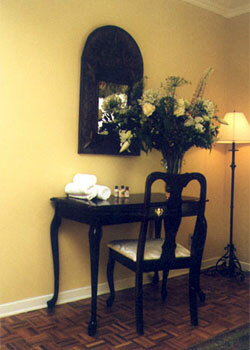 The 22 rooms in the auberge are decorated with a unique Mexican flare and are equipped with a small kitchenette, air conditioning and cable TV. Our Luxury Suite offers all the convenience of an apartment, with full kitchen and bath as well as a living room and separate bedroom.